PrattPlus.com gets a makeover! Visit PrattPlus.com and check out our new look that offers a stronger focus on what we do best, packaging! With the launch of the new look, it is now easier than ever to find packaging products for your business or personal use. The new look features our 100% recycled boxes, a wide selection of pressure sensitive adhesives, and a variety of cushioning and bundling to ensure your shipments and belongings are protected and secure during transit. 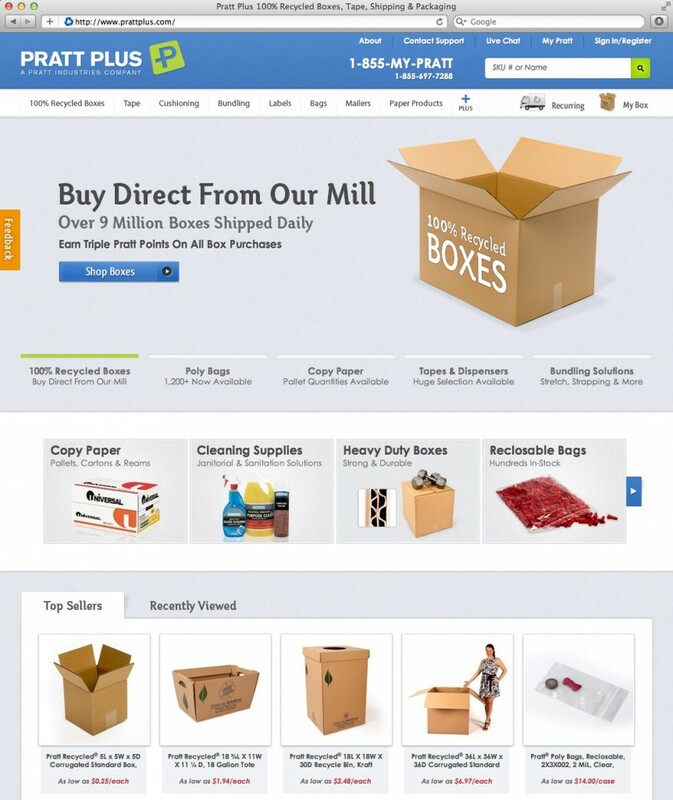 PrattPlus.com features a large variety of poly bags, mailers, labels and other shipping and packaging products as well as office, cleaning and safety supplies.